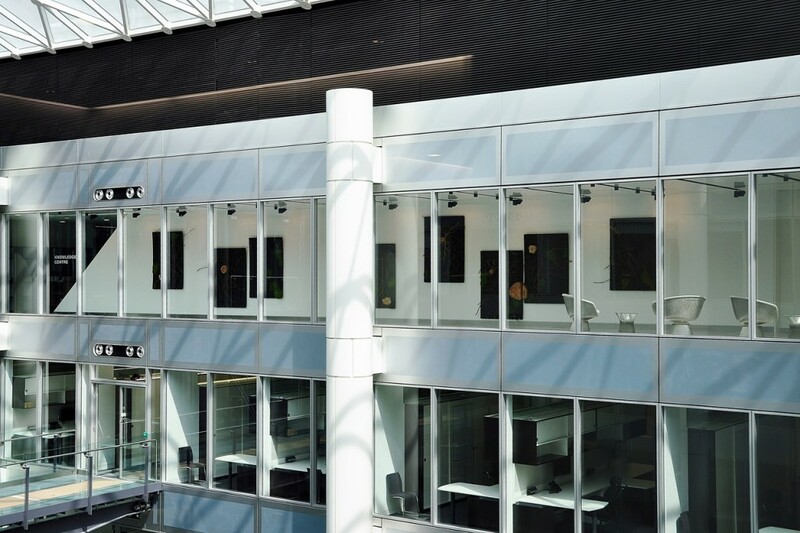 As part of Clyde & Co’s on-going long term project to support graduating students from three London Art Colleges, together with Workplace Art they identified and made available a stunning site with enormous creative potential at their new offices. 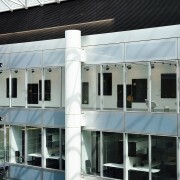 This takes the form of a 2.75m (h) x 18.5 (w) flat, white wall on the 13th floor which forms one side of a main thoroughfare corridor leading from the Knowledge Centre to the Auditorium and Restaurant. 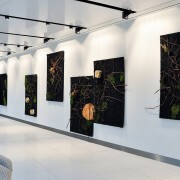 The work can be viewed by passing traffic in the corridor and, also, at a distance, from three floors on the other side of the atrium. 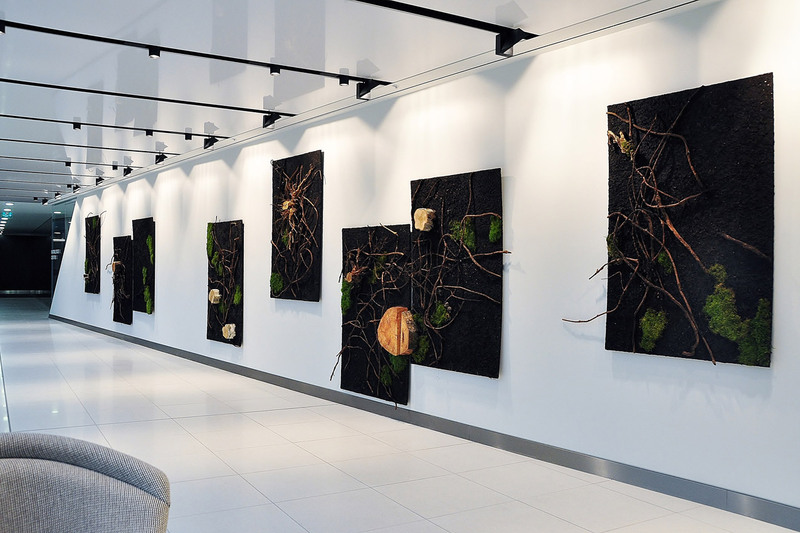 The 2011 Commissioning Art Prize was open to final year graduating students from Central St Martins, Chelsea and Wimbledon Colleges of Art for competitive selection by way of submitted proposals. 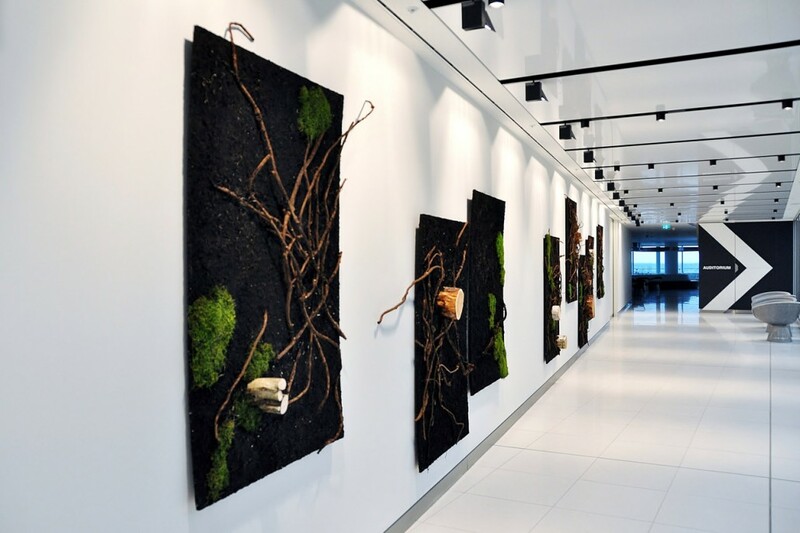 The inaugural winner, Barbara Tong, created a stunning organic composition demonstrating her ability to connect different spaces together and how to see space in a different perspective with the use of natural materials. 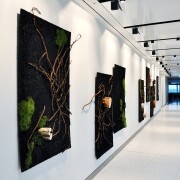 The artwork consists of peat, dry moss, sections of tree trunk and branches collected from one source approximately 100 miles from Clyde & Co’s offices.